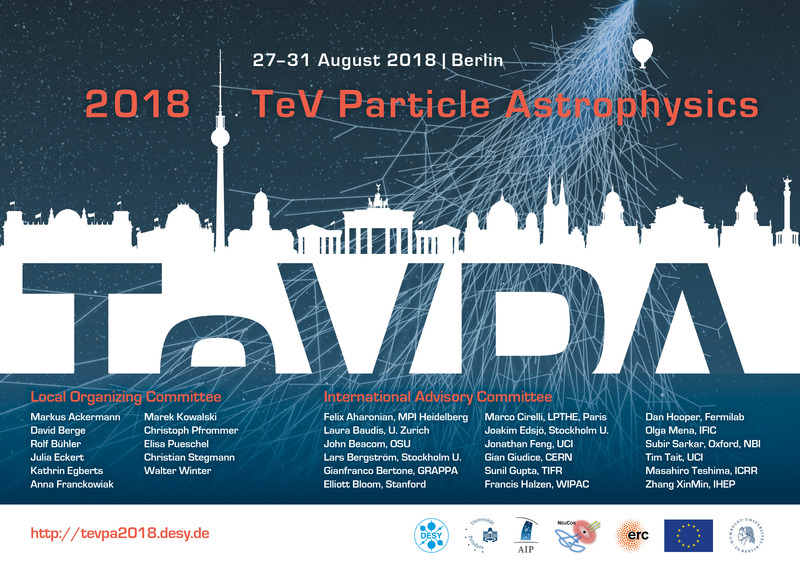 The 2018 TeV Particle Astrophysics conference (TeVPA 2018) will take place from 27th-31st of August in Berlin, Germany. 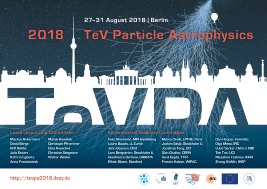 TeVPA is a five day conference which aims to bring together leading scientists in the field to discuss recent advances in Astroparticle Physics. The deadline for abstract submission was extended to June 10th, and EarlyBird registration is open until July 7th. In April the Ukrainian teachers had the possibility to visit CERN for several days with lectures in their native language. The lectures range from indroductory talks about CERN, accelarators and particle physics to neutrino physics, dark matter and low light-level detection. The program also includes visits to e.g. the Data Centre, the ATLAS Control Room, LEIR or the Synchrocyclotron and a Cloud Chamber workshop. From a collaborative work with John Smedley, member of the Experts Group, Derek Strom, member of the Consortium, and other colleagues a paper was published on photocathode growth and x-ray characterization. The 12th edition of the TESHEP summer school - Trans-European School for High-Energy Physics - will take place in Poltava, Ukraine on July 13-20, 2018. The core lecture program addresses Experimental Particle Physics, Standard Model and Beyond, Cosmology, Statistics and Instrumentation. The lectures are complemented by the practical sessions, discussion sessions and student-professor discussions. Students will present their projects during a dedicated conference at the end of the school. 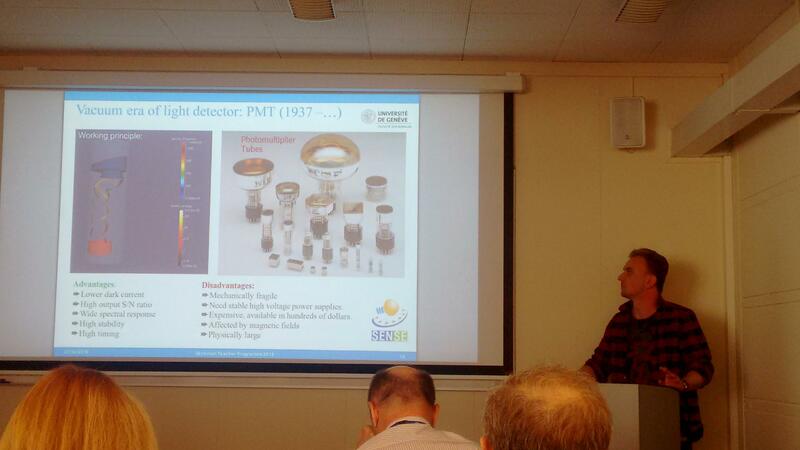 The practical sessions on Instrumentation are organised thanks to the support of the SENSE project.